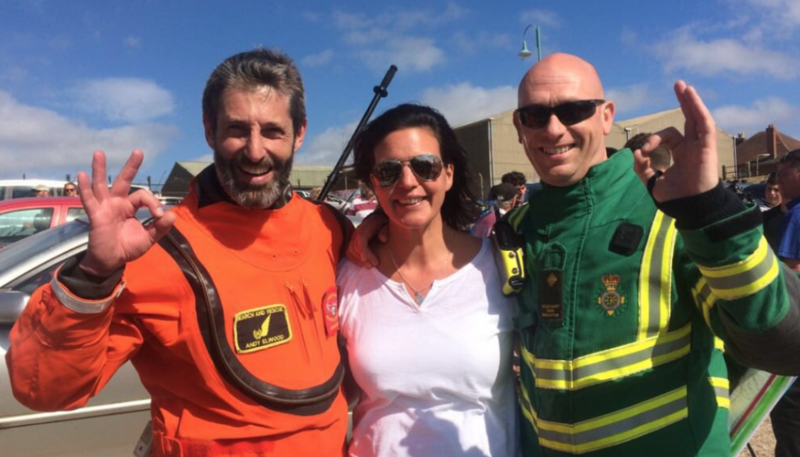 Gosport and Fareham Inshore Rescue Service (GAFIRS) crew took part in the making of a special viral video to raise awareness of a charity campaign. The video – organised by Andy Elwood, a paramedic crewman of the Coastguard 104 rescue helicopter – is designed to highlight Post Traumatic Stress Disorder. 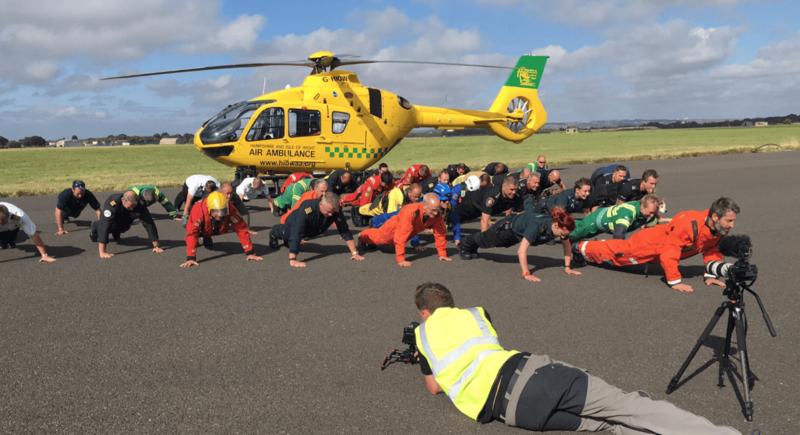 It sees a number of 999 emergency services join forces to perform 22 press ups. The It’s Ok To Talk campaign has seen Andy complete 22 press ups everyday of August in a variety of different places. …and with Coastguard 104 hovering in the background. But for his final day of the challenge he asked GAFIRS crews and other emergency services to take part in the finale at Lee-on-the-Solent. GAFIRS crew Chris Newbrook, Paul Goulder and Tom Clark took the service’s Land Rover rescue vehicle along to help make the video. To help support the cause you can text ‘PTSD’ to 70660 to donate £5 to PTSD999.org.uk.